Hey there sparkly business owner! My guess is you’ve landed here because you are trying to piece together how to create a fabulous brand that will stand out from the crowd and get your business *noticed* by clients ready to open their wallets! The good news, you are already WAY ahead of many people just by being here and working actively to develop your brand. I get it, there is SO much info out there on branding that sometimes it can feel overwhelming. I’ve been in the branding industry for 10 years and I’ve seen it all! 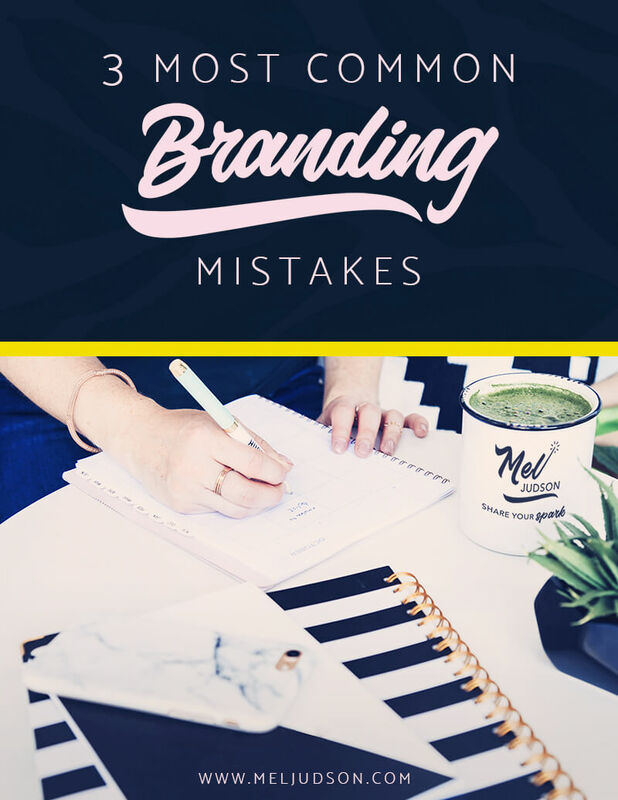 I’ve put together the list below of the 3 MOST COMMON mistakes branding mistakes I see over and over again. If you’re able to avoid the 3 things listed below you’ll already be leaps and bounds ahead of the competition! Mistake #1: Not being consistent everywhere! Make sure you are using the same color palette, brand imagery and vibe across all social, emails, contracts, websites – EVERYTHING. The experience with your brand should feel seamless across all touch points. Hopefully you have a brand style guide that helps you achieve this! Go with the branding that SPARKS your soul instead of branding you think you SHOULD have. Trendy sites can often feel inauthentic and when they go out of style it causes you to have to spend time and money updating your brand again and again! Of course you and your business are ever evolving, but your brand and design elements should have a timeless feel in order to establish trust with your audience. Be truthful! Don’t be too lofty or not lofty enough. If you are not truly on the cutting edge/innovating/saving lives then don’t say so! Also you are not an “aspiring” author/coach/speaker, you already ARE an author/coach/speaker!